Affirmation Weaver is a story that teaches children how to increase self-confidence and self-esteem by using affirmations and positive statements. 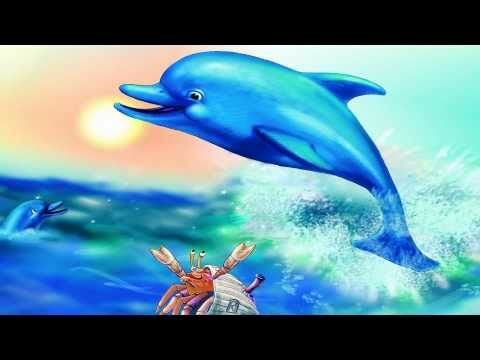 This simple technique is woven into the story allowing children to follow along and read how a self-doubting dolphin uses positive statements to increase self-confidence. Children relate to the self-doubting dolphin and love reading how the sea creatures show the dolphin how saying positive statements can turn self-doubt into self-belief. Watch your child increase self-esteem and build confidence as the sea creatures weave a web of positive statements. This positive thinking technique can be used to bolster self-esteem, manage stress, accomplish goals, and increase optimism. This encouraging story will bring a smile to your face and give your child a tool that will last a lifetime. This story is longer making it ideal for older children or those with a longer attention span. Affirmation Weaver is also featured on the Indigo Ocean Dreams Audio/CD and is also available in several eBook formats. Children truly enjoy hearing and saying positive statements out loud. They are willing and eager to give themselves a compliment and quickly learn that doing this throughout the day makes them feel better. Every child has a different emotional maturity, attention span, and need. While the stories are best suited for ages 6-12, do not let this be your primary reason for selecting. You know your child best and remember this is not about the reading level. The focus is on the actual techniques.